The intersection of La brea, Market and Hawthorne. La Brea and Arbor Vitae. 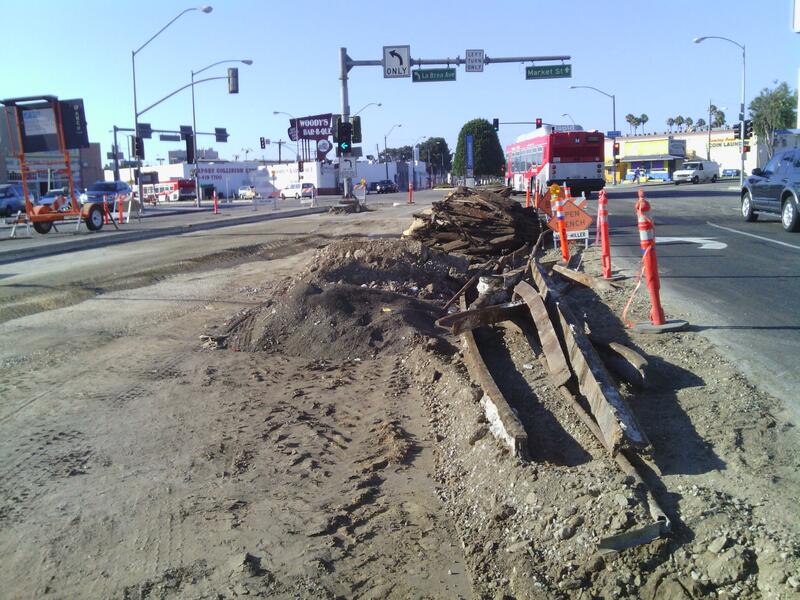 Street work on La Brea in Inglewood in recent days has churned up the old streetcar tracks that once carried the Number 5 line of the Los Angeles Railway from Hawthorne to Eagle Rock. 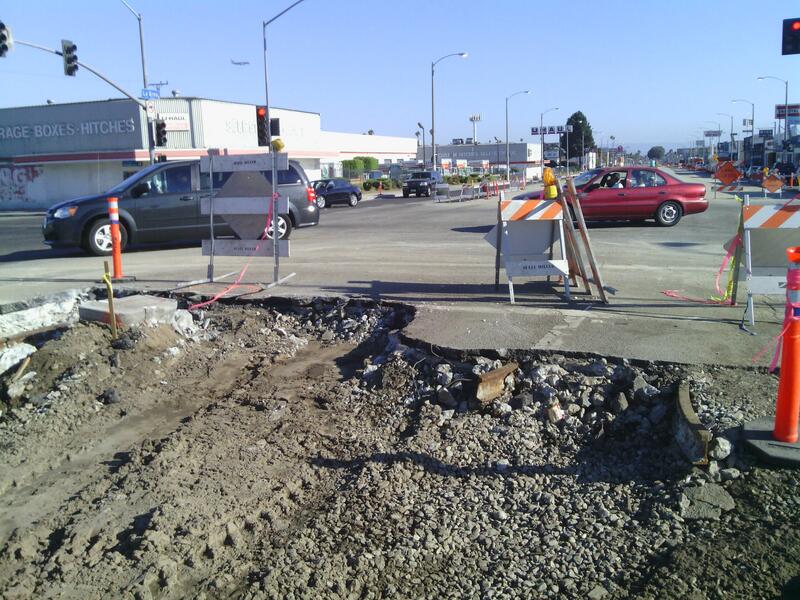 A portion of the route included the future Crenshaw/LAX Line alignment along Florence Avenue and Crenshaw Boulevard. Many thanks to Gerald for sending us the pics and related information!